Provide a consistent user experience. The smooth interface means you can deliver a site with a cohesive look and feel. Booking pages match your design giving the client a website with a seamless and professional finish. To put two calendar widgets on one page the code needs to be modified slightly. This Help Centre article provides all the information you need. Take a look at how SuperControl works on some of our client’s websites. Creatomatic are a full-service web development agency, based near SuperControl’s headquarters in southern Scotland. Developing websites on the popular WordPress platform, they’ve worked with SuperControl’s API since 2015. Working closely with the team at SuperControl, Creatomatic have since developed their platform into a highly flexible and configurable content and marketing system that fully compliments SuperControl’s powerful booking engine and is now available as a subscription service. James says, “Our platform couples the best of what WordPress and SuperControl has to offer; the web’s most popular content management system and the best channel manager software – creating an unbeatable combination for digital marketing and online booking provision alike. 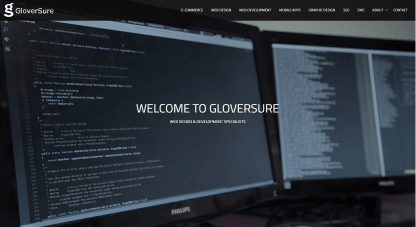 Richard Glover-Davies manages GloverSure Ltd. The company designs and develops websites for the tourism industry all over the UK and across Europe; from B&B and holiday rental websites to award-winning websites for hotels and self-catering agencies.